Welcome to Hawthorne Tire, "Hometown Family Service You Can Trust". Owned by the Hawthorne family since 1980, customers can feel confident getting back on the road safely with exceptional service for tires and auto repair, using top brands by MICHELIN®, BFGoodrich® and Uniroyal® and providing quality auto repairs and service from professionals you can trust. 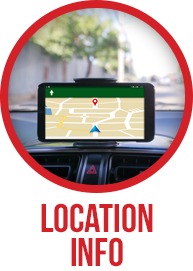 Visit our location in Escondido, CA, serving customers in San Marcos, CA, Rancho Bernardo, CA Carlsbad, CA and surrounding areas: Hawthorne Tire 2431 Auto Park Way Escondido, CA (760) 746-6980, Hours: Mon-Fri: 7:30am-5pm, Sat & Sun: Closed, or contact us online. We want to hear from you! Tell us about your service experience with a Google+ review!